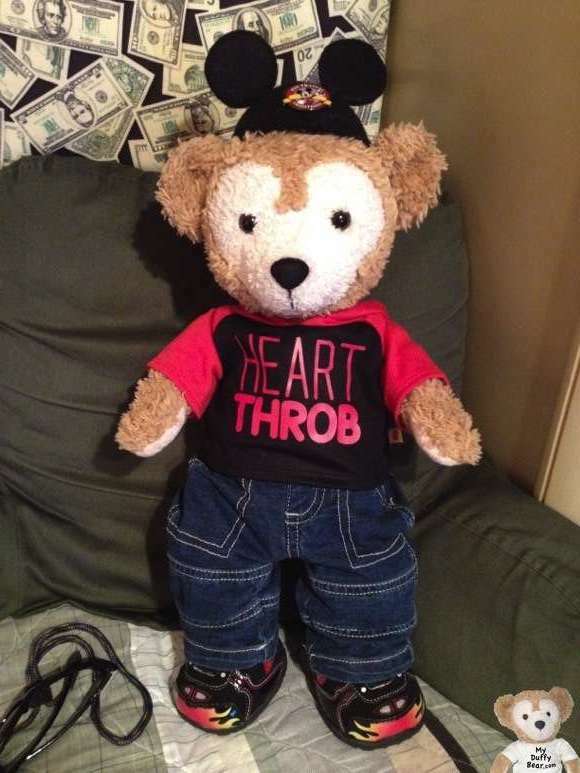 My Duffy Bear is the cutest Heartthrob ever in this Hoodie from Build-A-Bear Workshop! I did some mixing and matching to put together my 2014 Valentine’s Day Ensemble. I gave the Blue top from my Justice Blue Lace Outfit to MaeMae. I’m wearing the sparkly Jeans from this outfit. 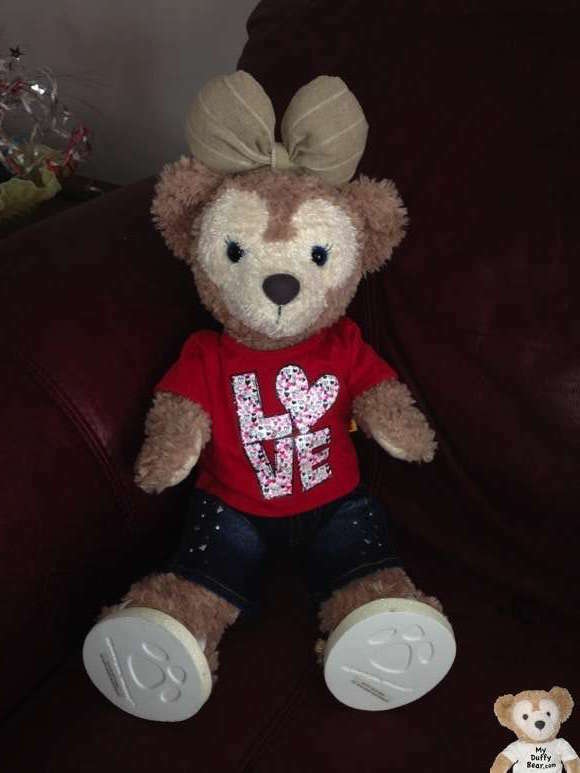 The fun and playful Love T-Shirt and my White Butterfly Flip Flops are also from Build-a-Bear Workshop. And of course, you all recognize my favorite bow that Minnie Mouse made for me when she stitched up the magic to bring me to life. I’m from Japan, my bow is from Tokyo Disney Sea. You my friends have style to spare! ShellieMay is all giggles with your comment! Little Joe got the Teddy Bear Flu and she’s been very busy nursing him back to health. He helps her with all the pictures for her fashion blog. So she’s gotta get him better! I started a post on Little Joe getting the flu and the only medicines that seem to get a Teddy Bear better! At least a Duffy the Disney Bear Teddy Bear! Thanks. ShellieMay is working overtime to nurse Little Joe back to health. She needs him to help her getting all pictures together to post all our our clothes. Well…. ShellieMay says they’re not just clothes…. she says ‘fashions’. Just like you calls ’em!